Union Brother Anthony ‘Tony’ Jeacock passed away January 2, 2018 at the age of 77 years. 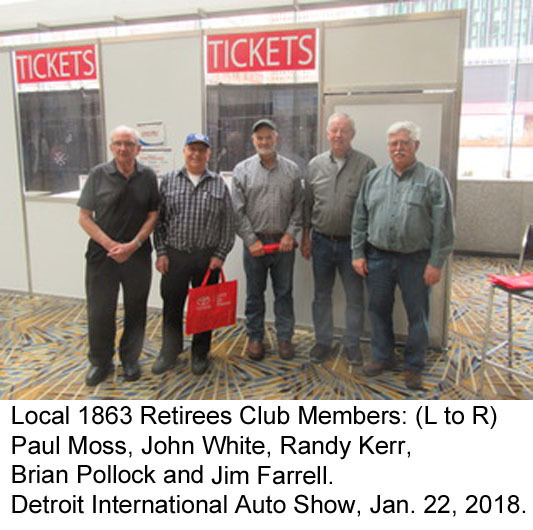 Tony was hired at Champion/Volvo Motor Graders in Goderich, Ontario, Canada, in the Machine Shop as a Machinist on January 5, 1970, at that time became a member of IAM&AW LL 1863 (now LL 1975), and retired in July 1, 2005. A Celebration of Tony’s life was held at Williams Funeral Home in St. Thomas, Ontario, Canada, January 9, 2018. 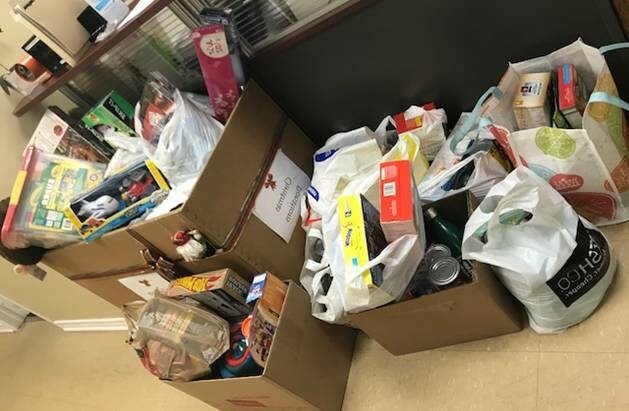 IAM District 78 members generously dropped off food and toys at their Toronto office in the days leading up to Christmas. The donations were then taken to the local fire station to be distributed to pre-screened families in need. “Justice on the Job. Service to the Community”. District 78 Retirees Christmas Party was held on Dec. 5, 2017. A Joyful time was had by all. Special Thank you to Pauline, Colin, Manny and all the amazing volunteers who made this celebration possible. The late Stan Raper was awarded the Bob Borch award for his work advocating for the rights of migrant workers. The award recognizes individuals who promote the human rights of workers. Raper dedicated his life to the goals and aspirations of the Ontario labour movement, and the human rights of Ontario’s agricultural workforce in particular. In the 1990s, Raper led the charge for basic respect, dignity and equal rights for agriculture workers in Ontario and across Canada. In 2000, with the help of UFCW Canada and the Canadian Labour Congress, Raper launched the Global Justice Caravan Program, traveling throughout Ontario’s farm country in a mobile RV documenting the plight of migrant agriculture workers labouring in the province. He went on to help build the Agriculture Workers Alliance (AWA) into the largest agriculture workers’ organization in North America, with more than 14,000 members across Canada. In a tearful tribute to Raper, UFCW national representative Pablo L. Godoy said, “You will always be a human rights champion.” The award was accepted by Raper’s life partner and wife Terry who, in a read statement, thanked the OFL and said her late husband would hope that others will pick up where he left off.